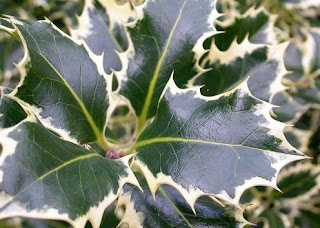 I'm doing some research on Holly, otherwise know as Ilex aquifolium or in Irish An Cuileann. I have researched some of its uses and varieties and associated history. But I was wondering did you have any tales or folklore around holly? Would you like to share them? Our native holly plant has a strong association with Christmas on this isle, one which can be traced back as far as the time of the Celtic druids. These “wise men” regarded holly as the king of winter, its over-wintering evergreen leaves and bright red berries reaching the height of their glory on the winter solstice (December 21st). After that time the druids other revered plant, the oak tree would displace the holly, then rise in power as its leafy coat became renewed by the oncoming spring. You can click here to read more information on there site.